There is an excellent mix of films coming to the big screen this month! The films range from animated, to sports, to action, and back to romance, so there is something for everyone. I personally cannot wait until the end of the month when both the boxing thriller Southpaw, and the fifth installment of the Mission Impossible series Rogue Nation finally hit theatres! Southpaw is a boxing drama film featuring Jake Gyllenhaal in the lead role of Billy Hope, a boxer in his prime who is fighting his way to the top. However, his wife Maureen, played by the stunning Rachel McAdams, attempts to convince Billy to retire so that he can spend more time with their daughter.On the night Billy announces his retirement disaster strikes, as Maureen is caught in the middle of an altercation between Billy and another fighter. Billy spends the rest of the film trying to piece his life back together after losing Maureen and the custody of his daughter soon after. Forest Whitaker takes on the role of Billy’s trainer Titus “Tick” Wills in order to whip him back into shape, as well as to help Billy onto the right path in order for him to win back the love of his daughter. The action-packed Mission Impossible series is releasing its fifth installment this month, as Tom Cruise reprises his role as Impossible Missions Force (IMF) Agent Ethan Hunt. Even though the IMF is on the brink of being disbanded, Ethan and his team have to work together to fight against a lethal group of assassins and rogue agents called the Syndicate. I’m excited for the return of both Simon Pegg as Benji Dunn and Jeremy Renner as William Brandt, as they added an excellent mix of scenes full of wit and fearlessness to the previous film Ghost Protocol. I think Rogue Nation will incorporate great action sequences, and hilarious one-liners, so I can’t wait to see how it will unfold. Magic Mike XXL (In Theatres – Wednesday July 1st): is a comedy-drama dance-centred film that is the sequel to the 2012 original. Three years after vowing to give up the stripper life, Magic Mike (Channing Tatum) and the rest of the Tampa Kings head to Myrtle Beach for one last massive performance. 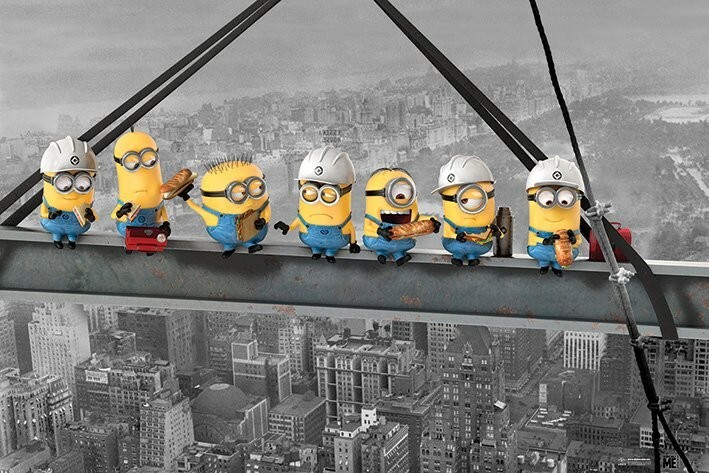 Minions (In Theatres – Friday July 10th): is an animated comedy film featuring the three minions Stuart, Kevin, and Bob from Despicable Me. This film follows the trio during their time spent with super-villain Scarlet Overkill (Sandra Bullock) and her attempt to take over the world. Paper Towns (In Theatres – Friday July 24th): is a comedy-drama mystery film based on the best-selling novel of the same name by John Green (also the author of The Fault In Our Stars). The film focuses on Quentin “Q” Jacobsen (Nat Wolff) as he and his friends go on an adventurous road trip to try and find Margo Roth Spiegelman (Cara Delevingne his next door neighbour a.k.a. the girl of his dreams.